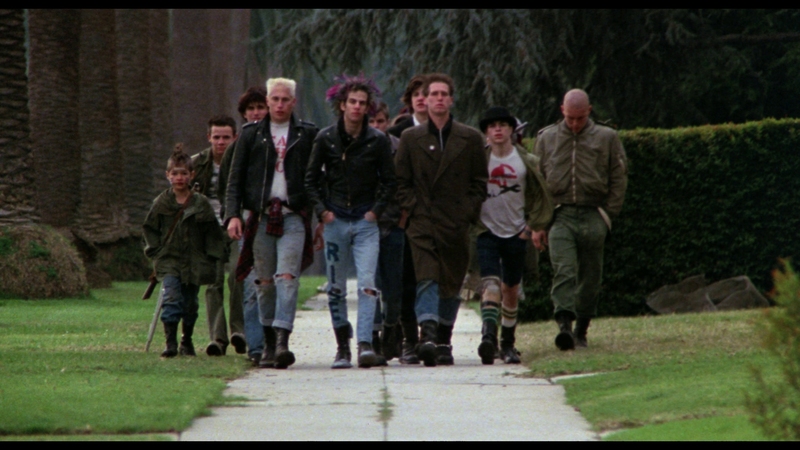 Written and directed by Penelope Spheeris (The Decline of Western Civilization, Wayne’s World), Suburbia is an engaging capture of the Los Angeles punk rock scene in the early 1980s. Filtered through a group of lost teenagers living as squatters in an abandoned property as a lens, it’s a tragic drama with real insight into their lives. 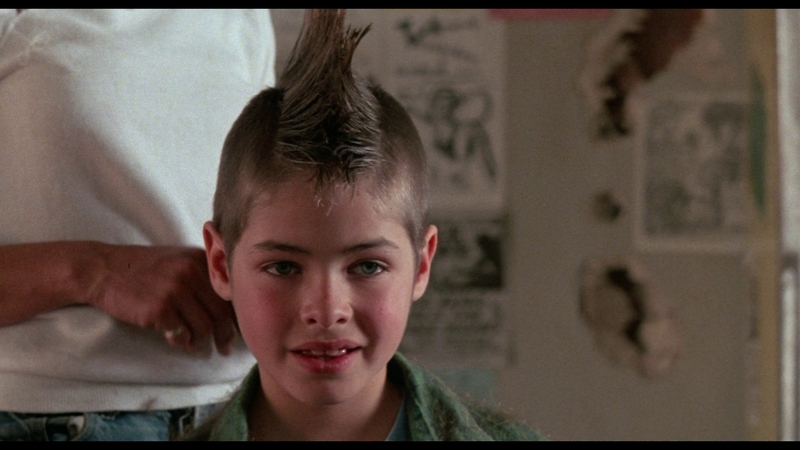 Raw and gritty, Suburbia provides a finely-honed window into the punk rock scene and what drives many punks. The intelligent melodrama features live punk performances by T.S.O.L., The Vandals and D.I. The cast stars Bill Coyne, Chris Pederson, Jennifer Clay and Christina Beck, not to mention a cameo by Flea from the Red Hot Chili Peppers in his acting debut. Suburbia explores the lost promise of the suburbs for alienated teenagers, having run away from problems at home. 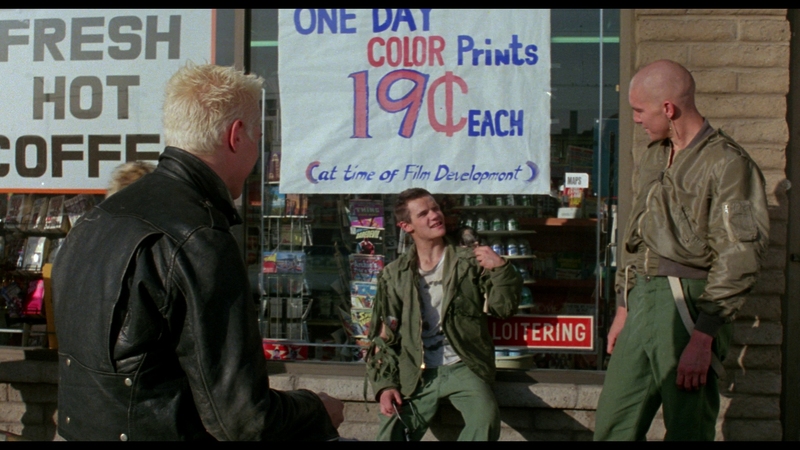 Banding together, they adopt a common punk identity and call themselves “The Rejected.” Living on the edges of polite society in the suburbs, they scrap and steal for their existence. Bound by tragedy, their time together comes crashing down when concerned citizens confront them. Jack (Chris Pedersen) is the de facto leader of The Rejected (T.R.). He welcomes various runaways from the punk scene into the group, living in a dilapidated place on the edge of the Californian suburbs. That includes Skinner (Flea) and newcomer Shelia (Jennifer Clay), an emotionally troubled girl hiding an abusive past. Evan (Bill Coyne) and his younger brother escape their mother’s household after she’s arrested for drunken driving. These teenagers have all run away from their parents living in the suburbs. The gritty movie doesn’t shy away from the hard aspects of these kids’ lives. Drugs, abuse and living on the edge are part of the punk scene. Often they are used as coping mechanisms and tragedy strikes the group at the wrong time. Suburbia goes for the gut with several scenes. The opening scene is shocking and a real wake-up call. 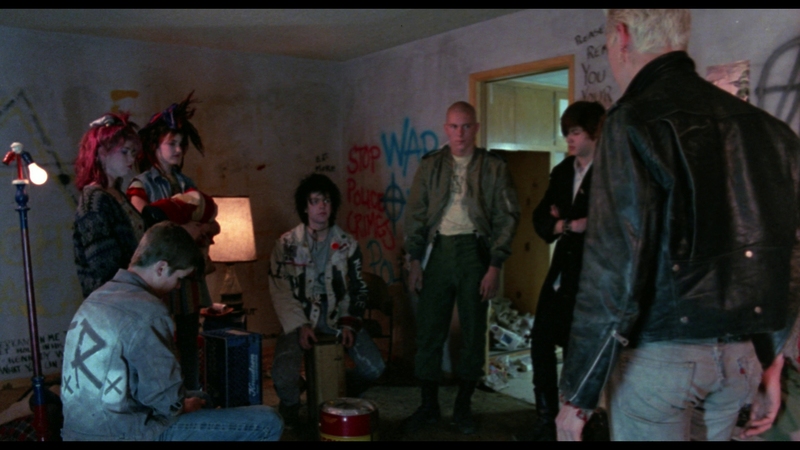 It’s a disturbing scene involving a young child and the rabid dogs that roam where the punk kids stay. If you are a dog lover, this movie may not be for you. Packs of wild dogs roam around and local citizens in the interests of safety start hunting them for sport. 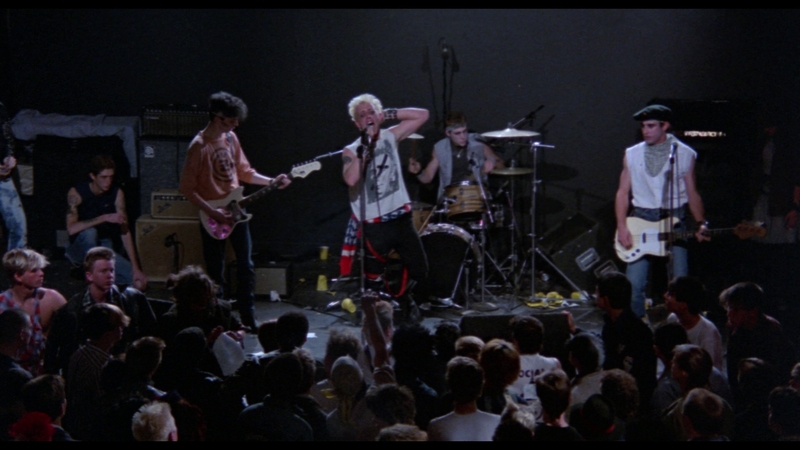 Spheeris gets interesting performances from her mostly teenage cast and has a firm grasp on the punk scene. It’s evident she gets these characters and why normal suburban kids would rather live in squalor than live with their parents. 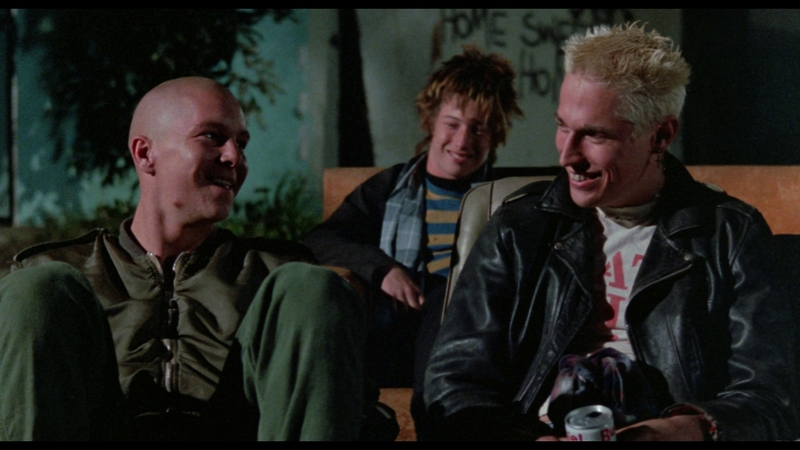 Suburbia has its rough edges but offers real insight into the L.A. punk scene. Shout Factory’s ad copy touts this Suburbia Blu-ray’s transfer came from a “new 4K scan of the original film elements.” If that is the case, the picture quality is disappointing in overall detail and innate resolution. 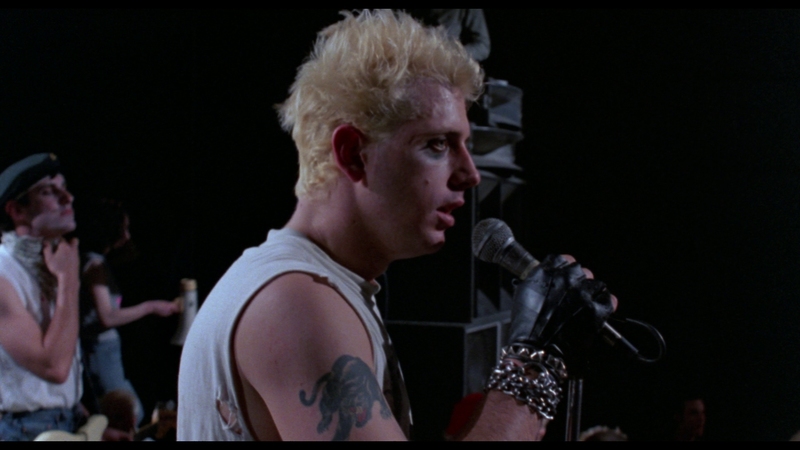 The 1983 punk film had an estimated budget of $1 million from an established producer in Roger Corman, but this is not award-winning cinematography. The film elements are in so-so condition, flat and without much depth. Some processing is evident, from ringing to a couple of scenes with oddly unstable frames. At first it appeared to be gate weave for the 35mm production. A closer inspection reveals possible processing to stabilize the film elements. Suburbia is shown at its expected 1.85:1 aspect ratio in dull 1080P resolution. The 95-minute main feature is encoded in excellent AVC on a BD-50. The film transfer, whatever its resolution, doesn’t appear to have been filtered. The soft presentation is endemic to the source material. Black levels are serviceable with a few hints of diminished shadow delineation. The contrast is fairly consistent. Clarity and definition are serviceable, but this is one of the more middling transfers for an 80’s movie. It’s an improvement over DVD, but those expecting seriously refreshed video are going to be disappointed. The 2.0 DTS-HD MA soundtrack comes in adequate but limited mono. Featuring live punk performances in concert, Suburbia doesn’t have the crystal-clear recording fidelity of larger Hollywood productions. Dialogue is occasionally muffled as the kid actors mumble their lines. The music has a boxy, thin sound. The performances are energetic and loud, while also fatiguing. The sound quality is serviceable but clearly fits the punk ethos. The information I have says the DVDs came with a stereo mix, but I can’t be sure that is correct. The original theatrical soundtrack was in mono. Optional English SDH subtitles play in a white font. Shout Factory calls this a collector’s edition but it feels more like a rehash of their earlier 2010 DVD edition. This feels light for a collector’s edition. It ports everything from that DVD and brings nothing new to the table other than improved A/V quality. 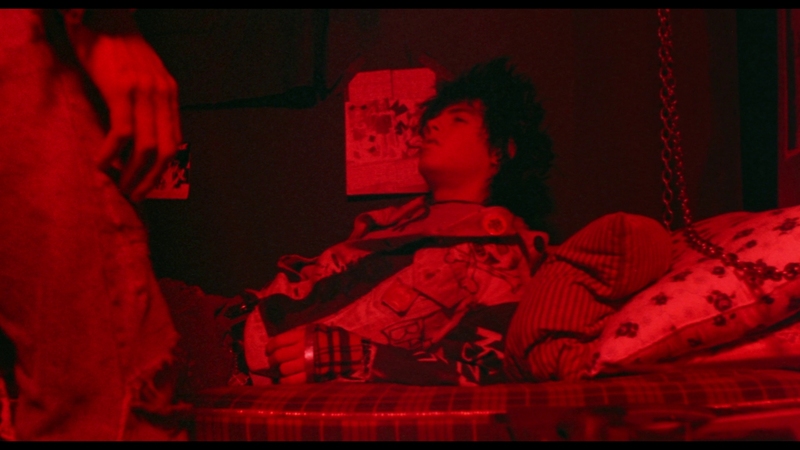 Neither commentary is especially electric, though both provide some insight into making the film. Suburbia is #62 in their Shout Select line. It arrives on Blu-ray with a slipcover reproducing Shout’s questionable new artwork, which hasn’t won many fans on social media. Thankfully, the original DVD cover art is included inside. 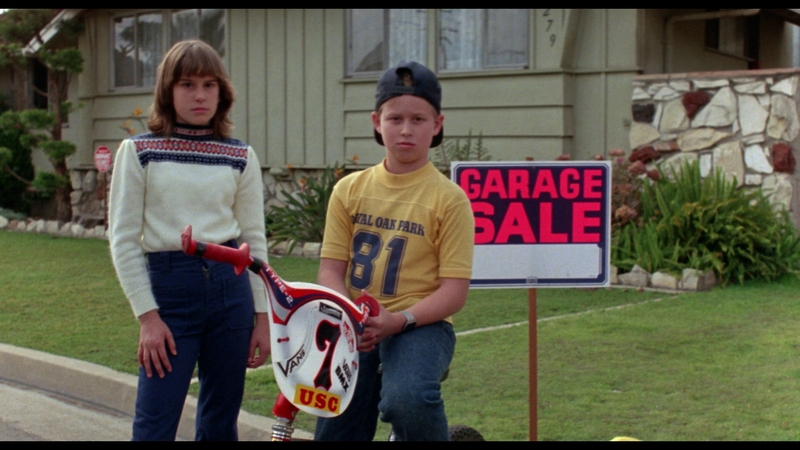 Ordering from Shout Factory’s own website also includes a bonus 18” by 24” poster of their new artwork for Suburbia. 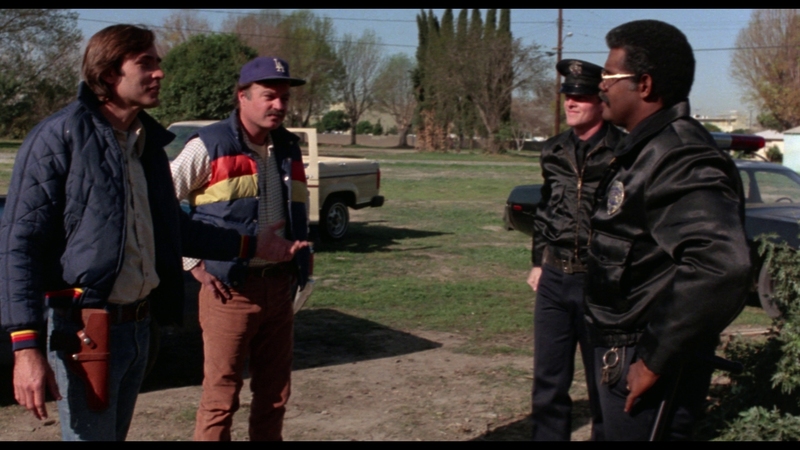 Audio Commentary With Director Penelope Spheeris – I believe this is the original commentary made for the first DVD edition, which predates even the 2010 Shout Factory DVD. It’s a patchy commentary with lulls in the discussion. 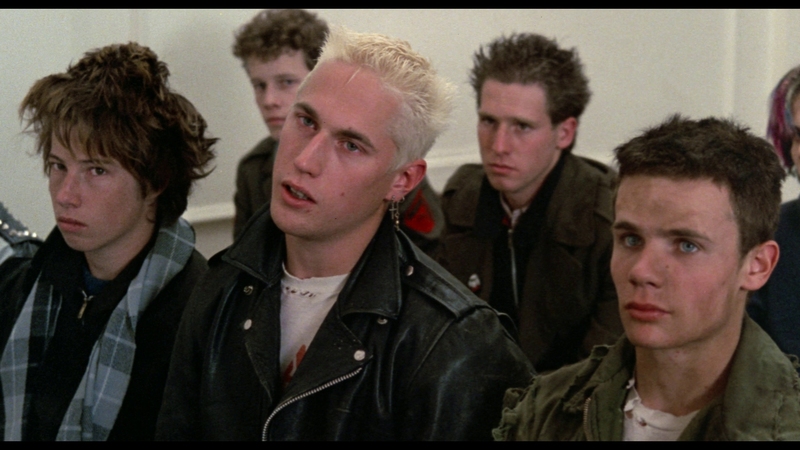 Audio Commentary With Director Penelope Spheeris, Producer Bert Dragin, And Actress Jennifer Clay – This isn’t a frolicking, rolling discussion by any means. Spheeris provides interesting context and background for the usual behind-the-scenes discussion. TV Spots (00:44 in SD) – Two spots with the movie being called Rebel Streets. Full disclosure: This Blu-ray was provided to us by the label for review. This has not affected DoBlu’s editorial process. For information on how we handle review material, please visit our about us page to learn more. 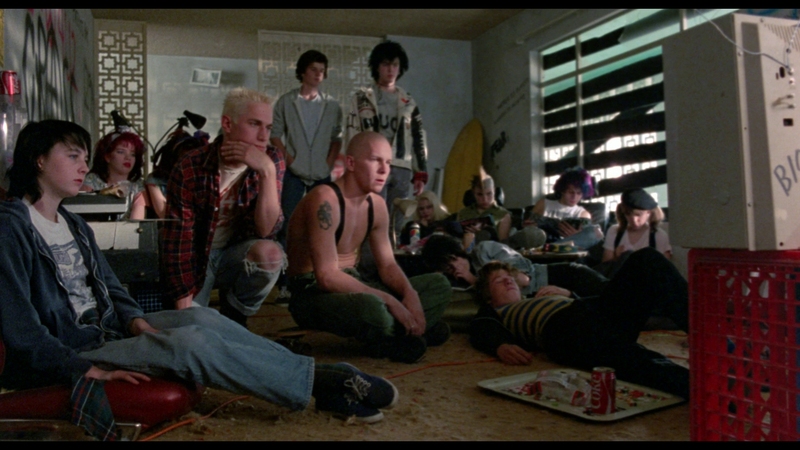 An honest, authentic portrait of the L.A. punk scene by director Penelope Spheeris that intelligently captures what drives these kids into the punk scene. 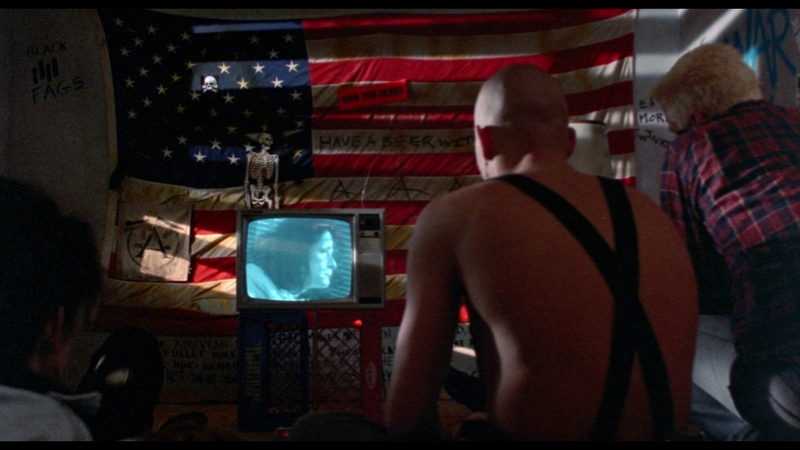 The 15 unaltered images below are taken from the Blu-ray itself. For an additional 21 Suburbia screenshots in full 1080P resolution, early access to all screens (plus the 20,000+ already in our library), 75+ exclusive 4K UHD reviews, and more perks, support us on Patreon.